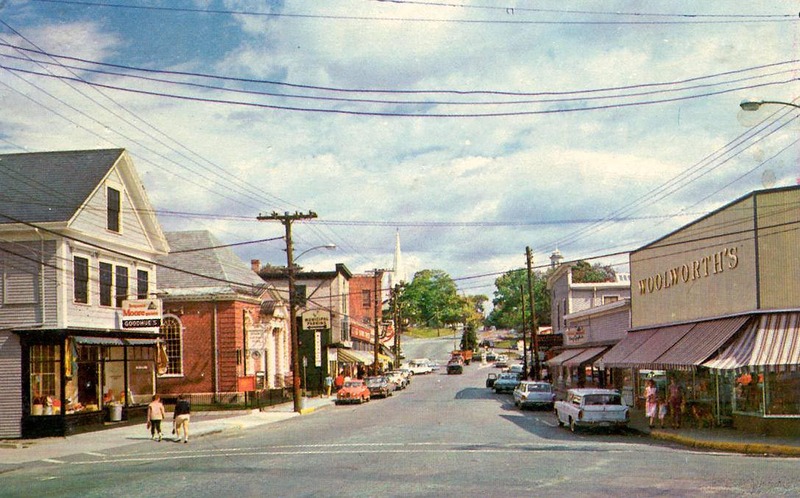 Photos of Market St. from the present day back to the early days of photography. 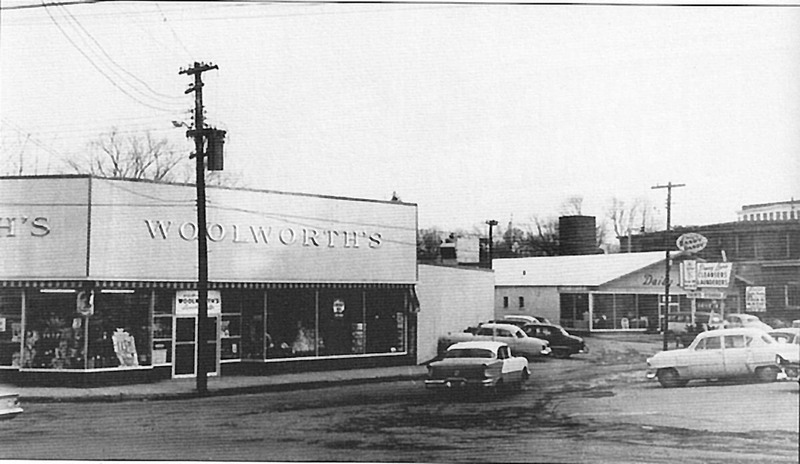 The J. W. Goodhue store still stands. 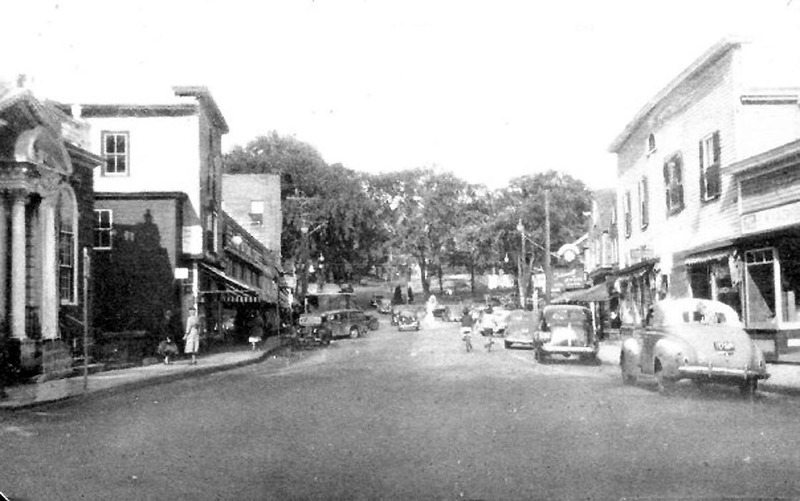 View of the intersection of Market and Union Streets as the Post Office was being built in 1939. 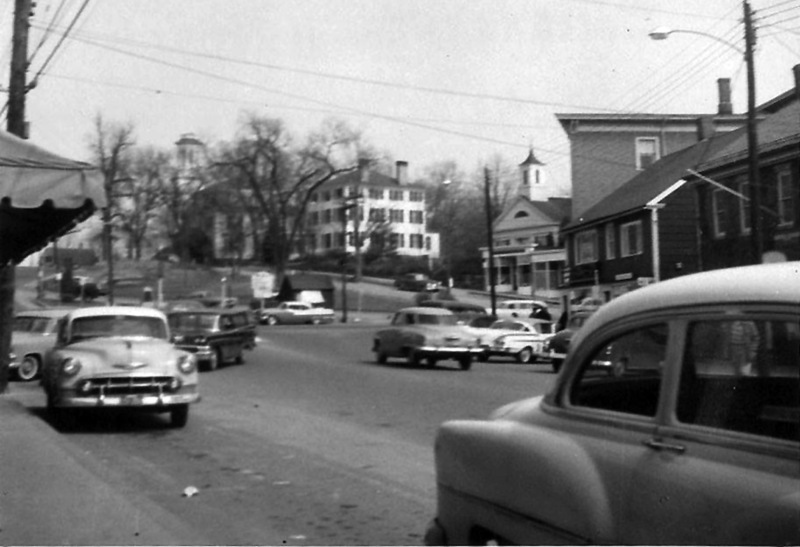 The small building behind the buildings that burned, and the last building on the right were replaced by the Daisy Lane laundromat which later was torn down to create a parking lot for EBSCO. 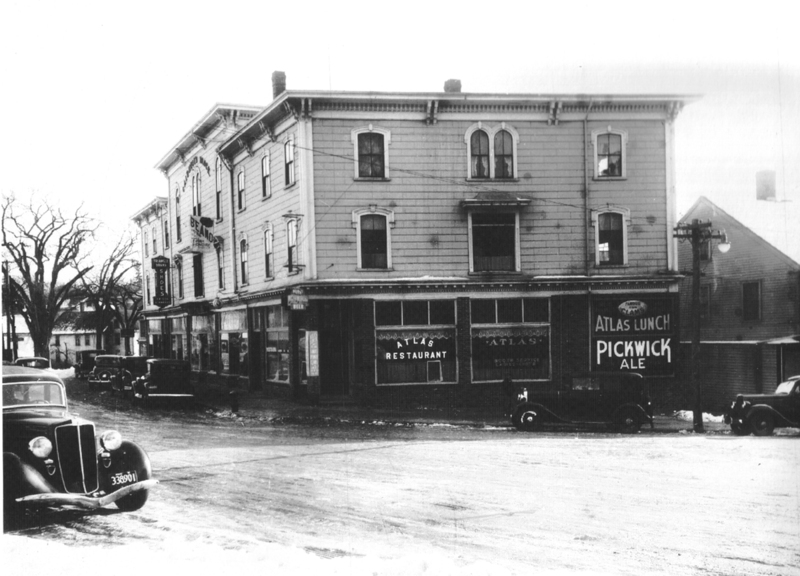 The Flying A station was at the corner, later rebranded the Getty station and now a Richdale store.The only thing that looks the same is on the far left, the single floor building where Zumi’s coffee is now. 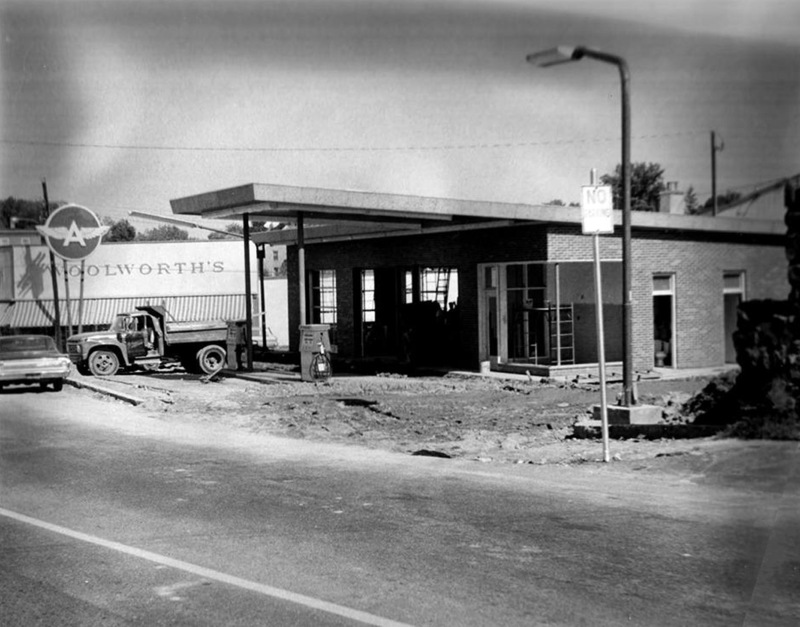 Woolworth’s moved across Market Street to the location of the burned out hair dresser. That building in turn was demolished. The present building was home to Zodiac Paint before it closed. 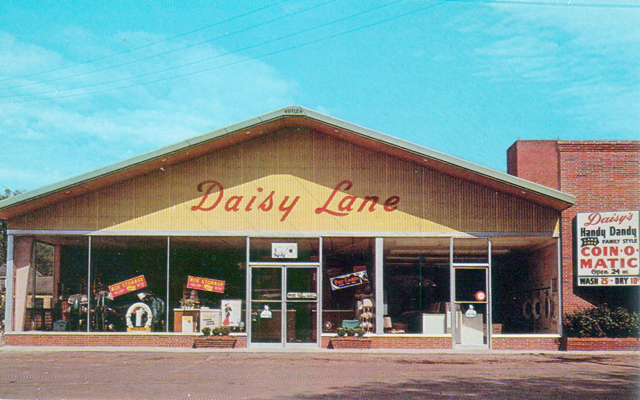 Behind Woolworth’s is the Daisy Lane Cleaners. 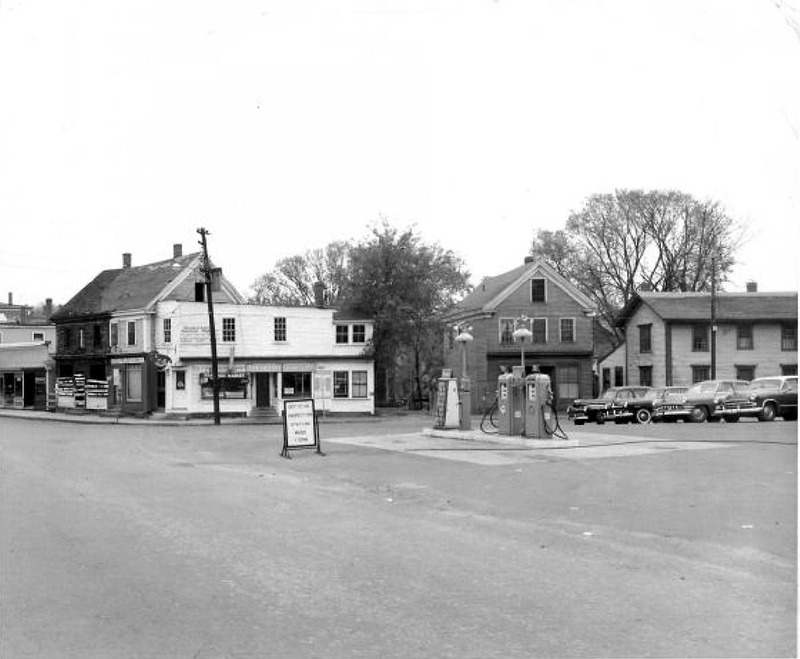 The service station at the corner of Market and Union Streets was converted into the Richdales store. 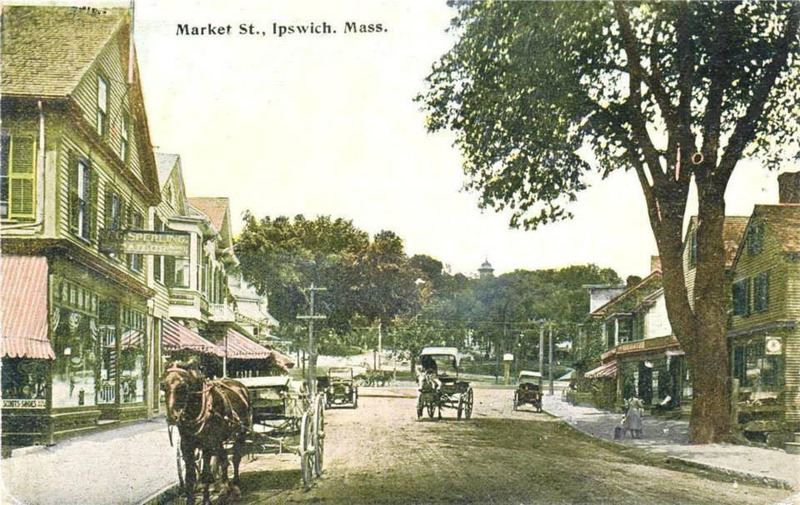 The Daisy Lane laundromat was located in the present EBSCO parking lot behind Market Street, and was once the office of the Ipswich Chronicle. 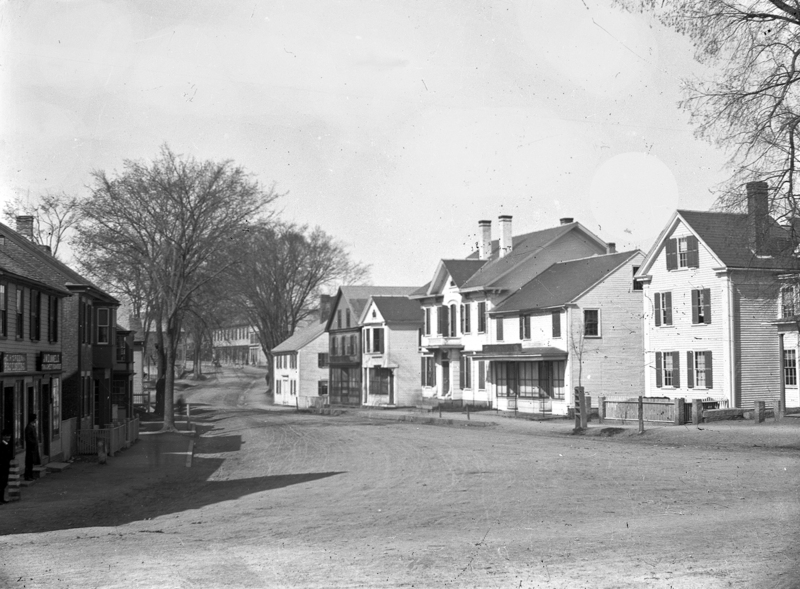 Former location of Zodiac Paint at the corner of Market and Union Streets. 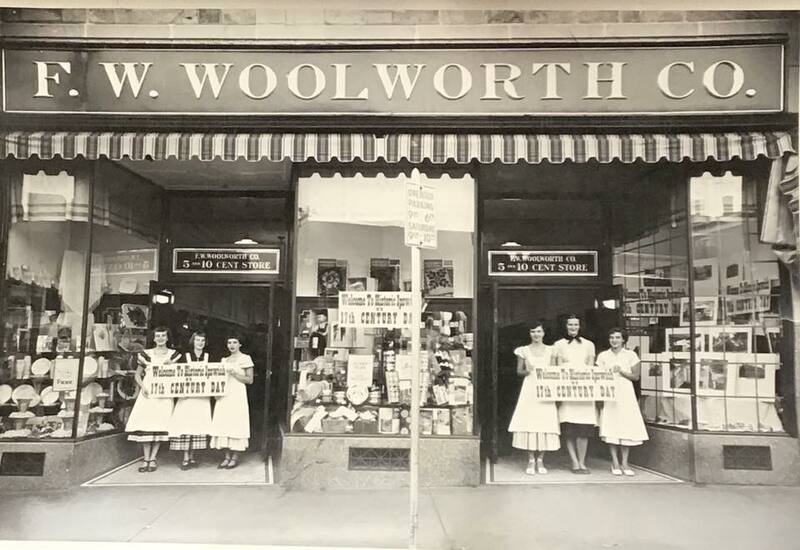 F. W. Woolworth at its original location on the north side of Market Street, circa 1950. 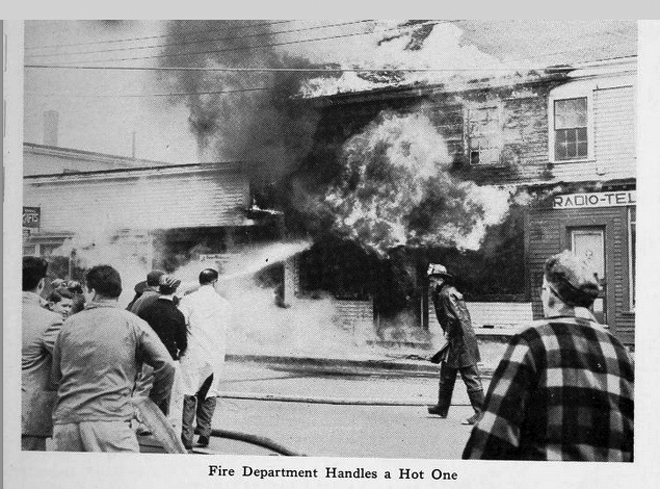 Photo courtesy of Susan Hubbard, whose father was the manager of the store. 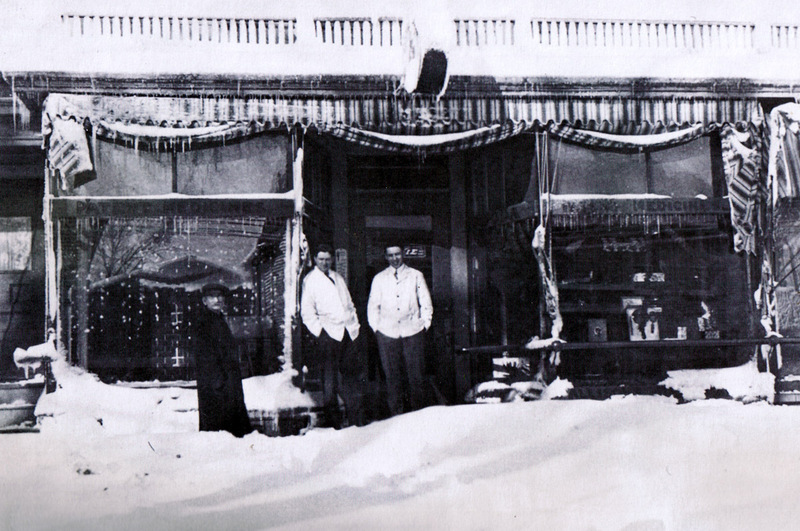 Ned Brown’s Drug Store in 1909. 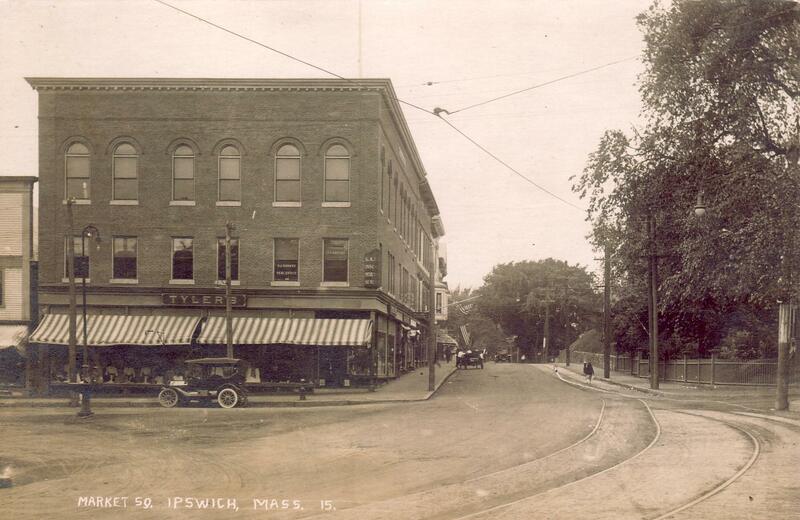 This building was removed to construct the Ipswich Savings bank at 23 Market Street, now TD Bank. 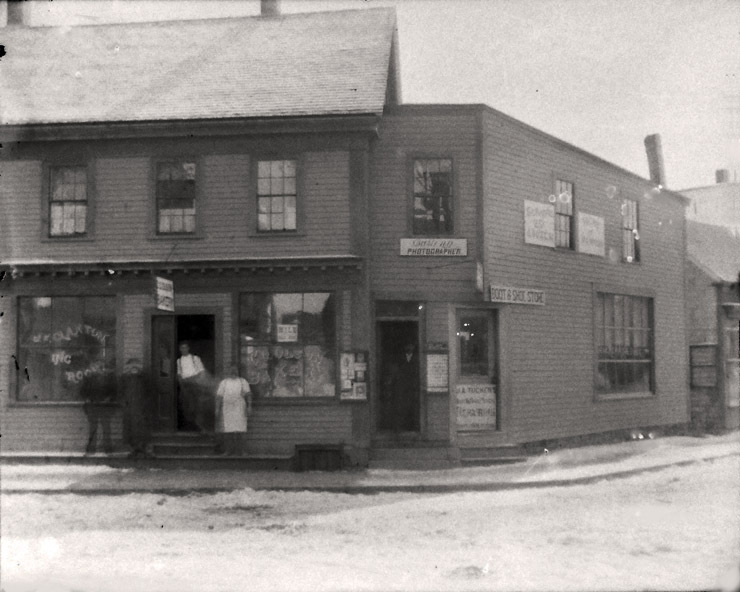 This little store was demolished when the First National Bank of Ipswich was constructed. 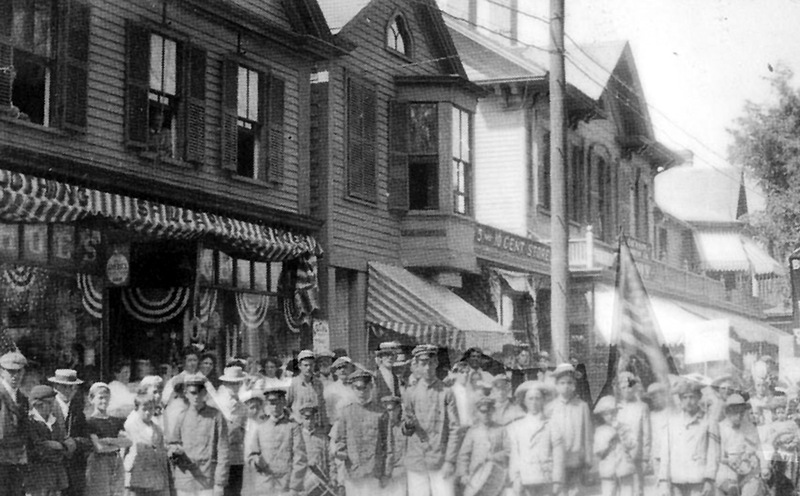 Another view of the little store on Market St. 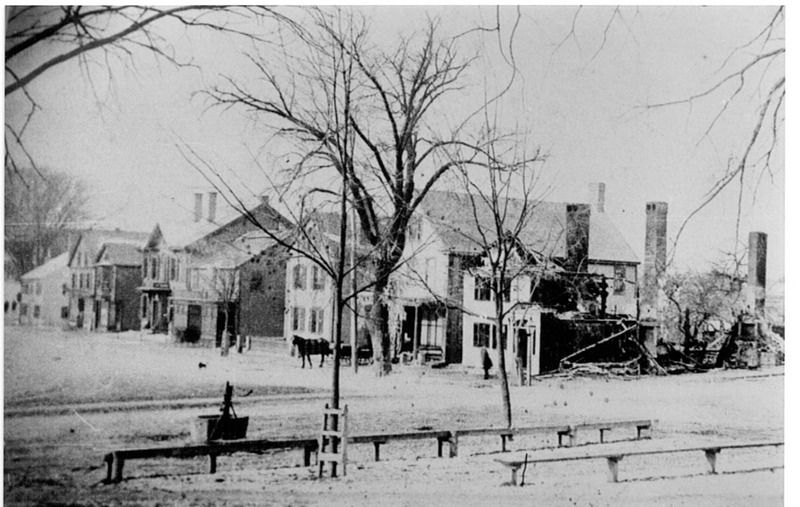 These two buildings sat next to the little house above, at or near the location of the Post Office. 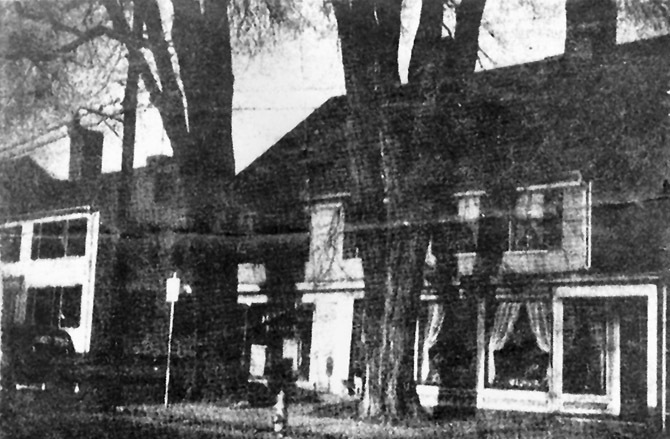 A closeup from the Damon Building photo shows the two small houses above. 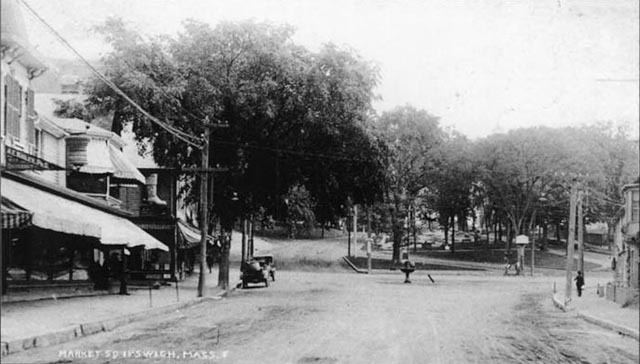 Looking down Market Street from the foot of Town Hill. 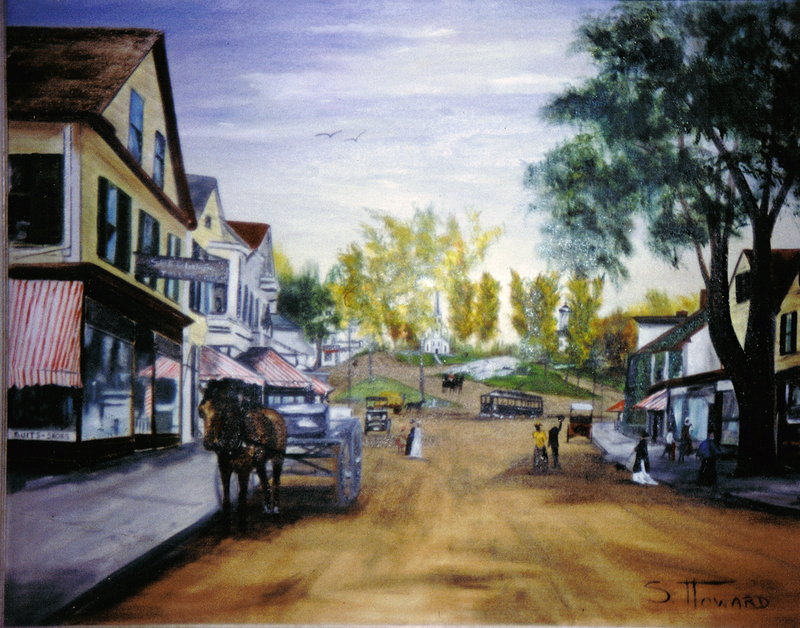 Jewett’s Store is on the right. 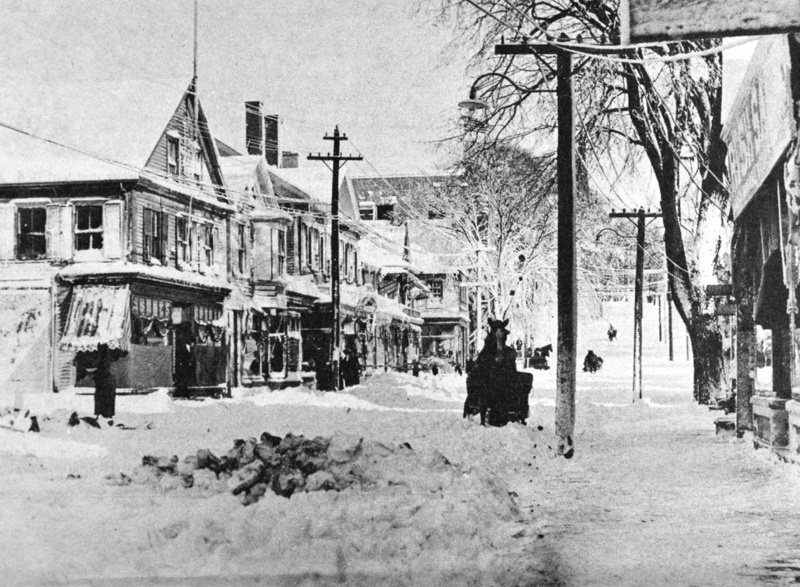 This photo of Market Street was taken from Marketplace Square before 1870. 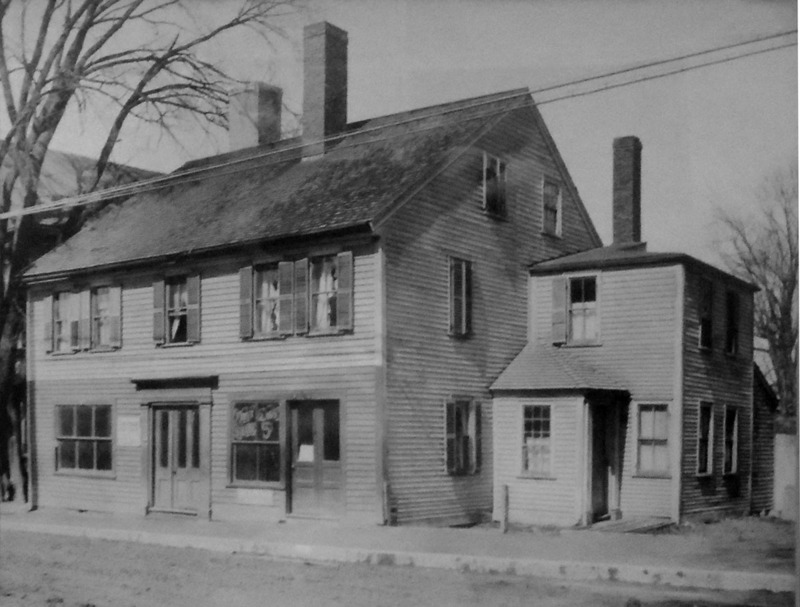 12 Market Street, the Abraham Wait house (1832) - Constructed in 183, this house is the only surviving early 19th Century brick building on Market Street. 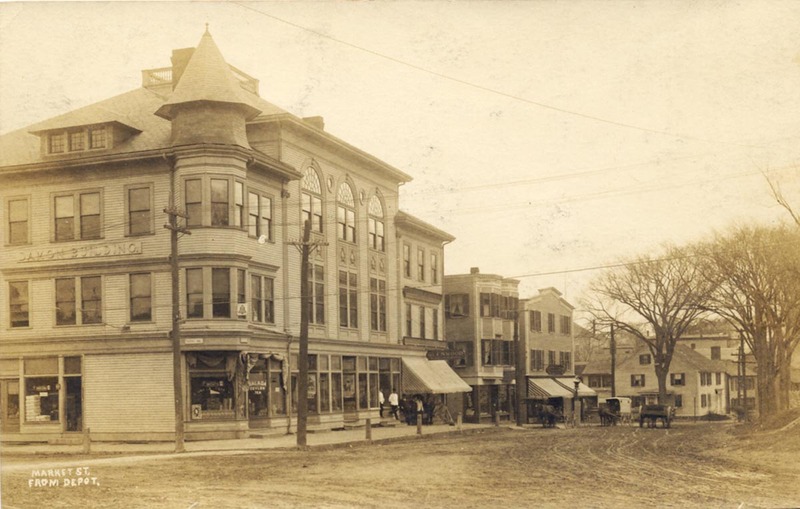 Abraham Wait and his brother operated a shoe store, and over the years the building has been used as a bank, business office, doctors office, and dwelling house. 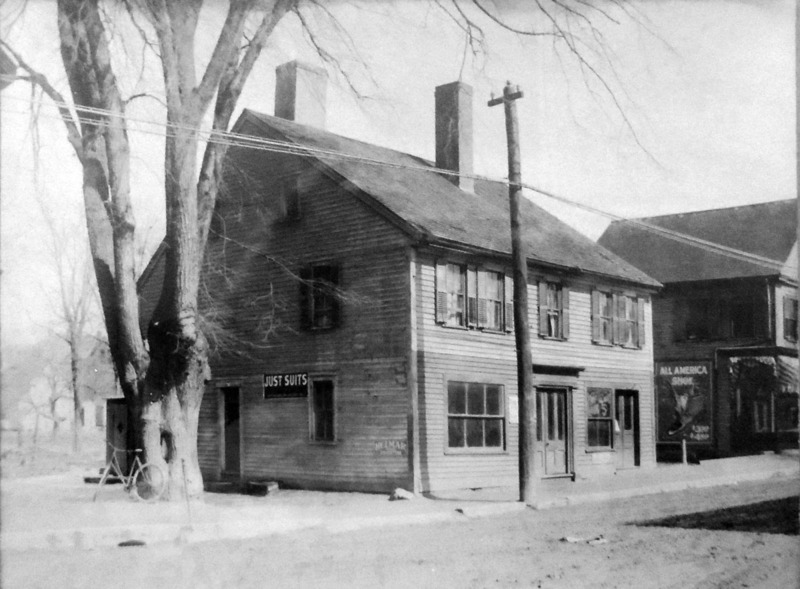 20 Market Street, the Stacey-Ross house (1734) - In 1733 John Stacey "being incapable of labor " petitioned the town that he may build a house beside the rocky ledge on the lower North Green "for selling cakes and ale for his livelihood." 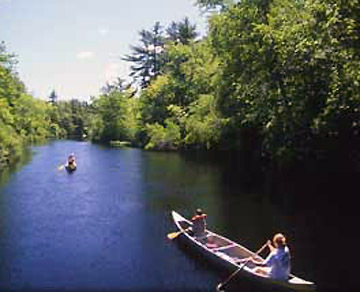 The house was moved to this location 100 years after its construction. 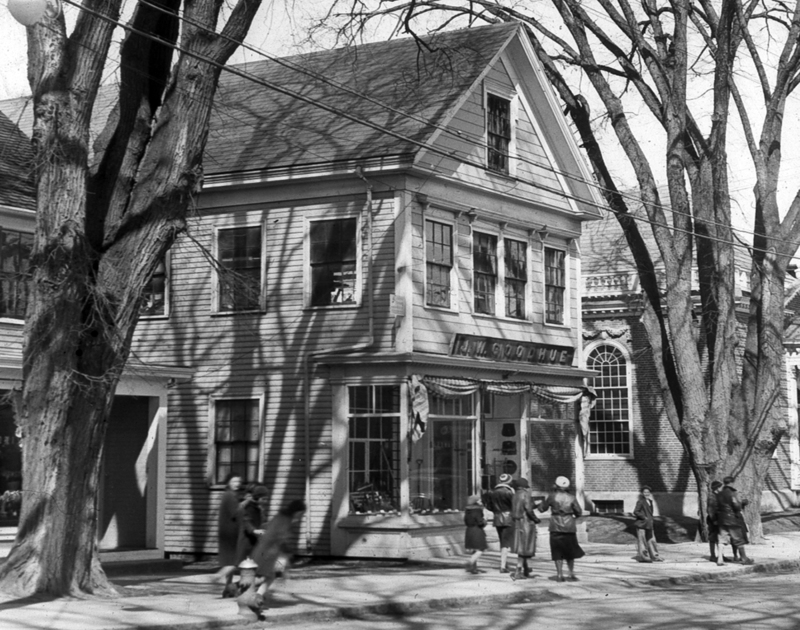 24 Market Street, the Aaron Jewett house (c 1800) - Constructed around the beginning of the 19th Century, this small building has served as Tetrault Jewelry Store since 1941, one of the longest-lasting family businesses in Ipswich. 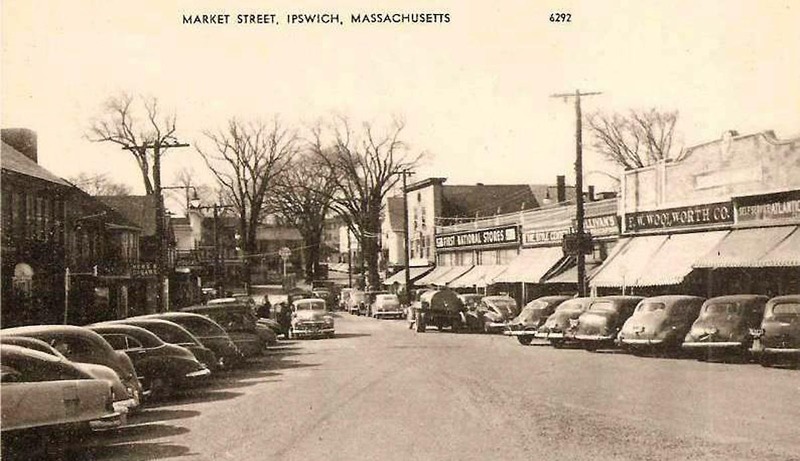 27 Market Street, the Ipswich Post Office (1939) - The Ipswich Post Office was built on Market St. in 1939 with U.S. Treasury funds. 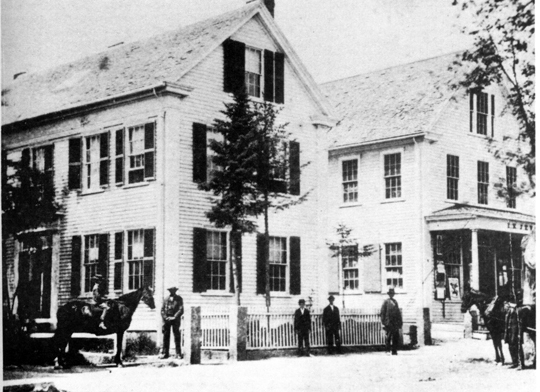 48 Market Street, the Bailey house (c 1887) - Dr. George Bailey served as medical examiner for Ipswich and Essex County. His shingle style Victorian home was added to the National Register of Historic Places in 1980. 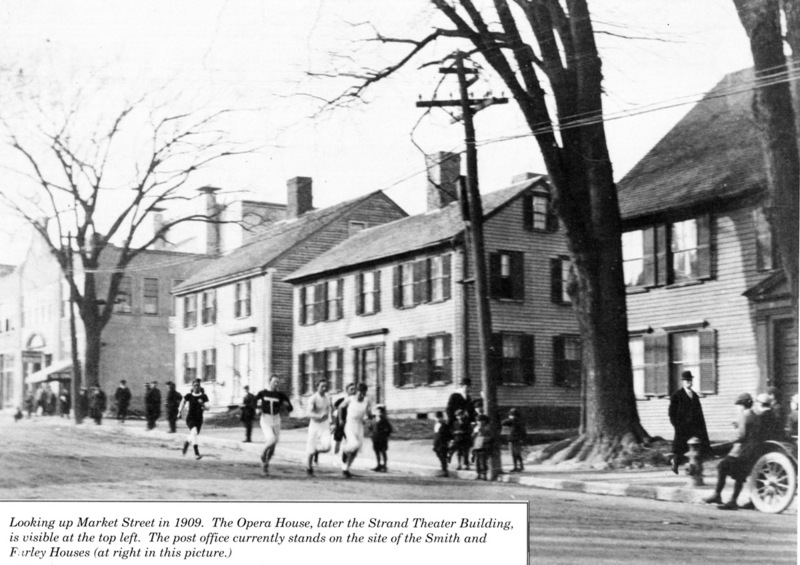 56 Market Street, the Lord-Sullivan-Haskell house (1847) - Captain John Lord made his last voyage as master of the ship Miles Standish to Calcutta sailing May 17, 1855. 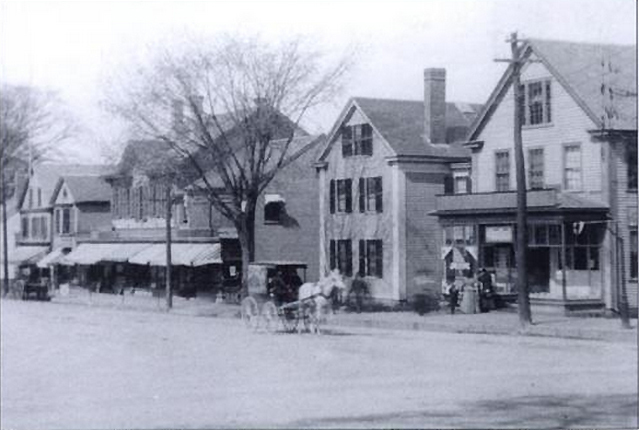 The next owner was John J. Sullivan was an inventor with multiple patents for improvements to sewing machines. 61 Market Street, formerly the Damon Block (1982) - This is the third commercial building at that location. 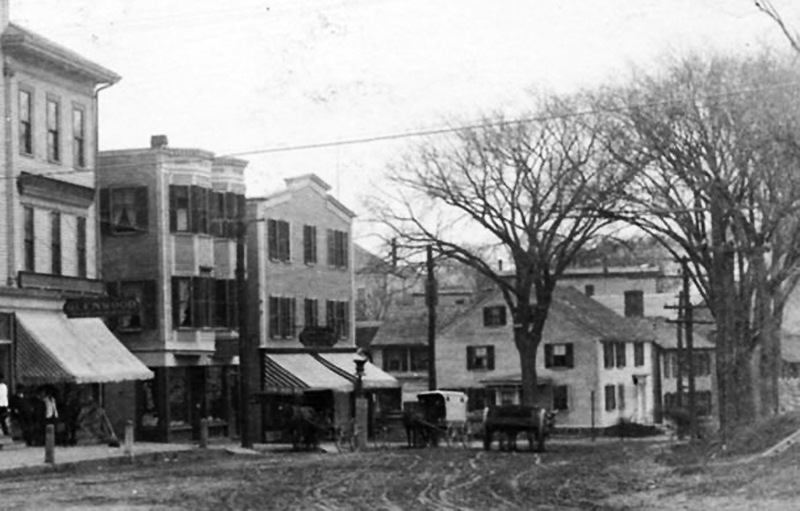 The Court House on Town Hill moved to this location in the mid-19th Century by Curtis Damon. It was destroyed by fire in 1894 and replaced by a large elegant Victorian building which burned twice.